In this episode we swap Sheer Mag's 2017 release "Need to Feel Your Love" and Donald Fagen's "The Nightfly". 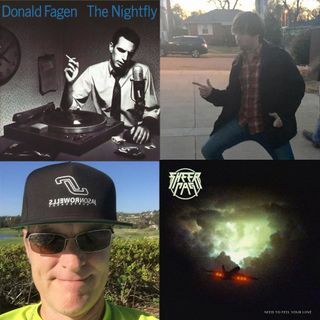 Released in 1982, "The Nightfly" was Donald Fagen's first solo album after the breakup of Steely Dan. Using many of the same musicians, Fagen crafts one of the masterpieces of it's day and the first digitally recorded album. Hailing from Philadelphia by way of New York, Sheer Mag's first album is chock full of great riffs, angst and ... See More grit . With it's low-fi recording style, this album grabs you and never let's go!